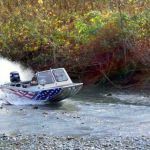 Getting at the very best of fishing, hunting and outdoor fun. That’s what Wooldridge Boats is all about. They always have been, with four generations worth, dating back to 1915. Grandpa Wooldridge built his first boat in 1915 and made the first ever float-down river trip from Grant’s Pass to Gold Beach on Oregon’s Rogue River. That trip launched a decades-old guiding and boat building career for him and now this four generation company is celebrating their 100th anniversary! 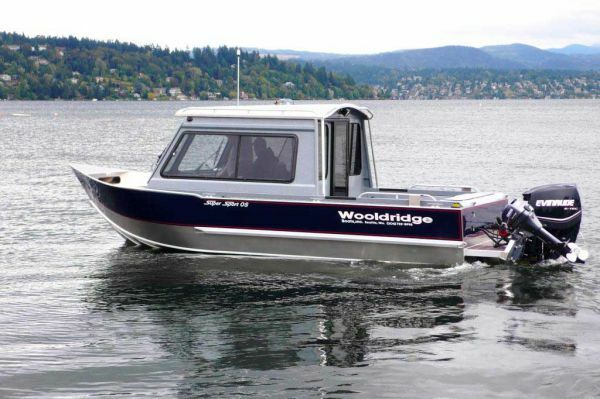 The Wooldridge Boat lineup includes 10 basic models with many different custom configurations available in each series. Sizes range from 17’ to 32’. 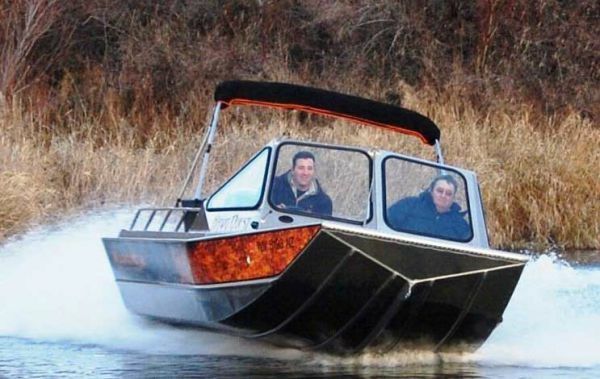 Jet boats include inboard, Sportjet or outboard power. 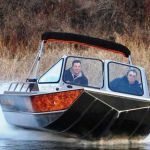 Prop boats are offered in moderate and deep “V” configurations with single and dual power outboards. 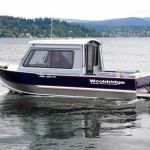 Wooldridge Boats is an innovative boat building company that continues to introduce new design concepts along with unique features that set the standard in jet and prop power boats. 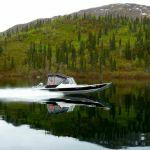 Wooldridge’s all-welded aluminum boats are used on waters worldwide, from extreme shallows to brawling rapids, from tranquil ponds to white-capped offshore swells. Outboard jet models feature the exclusive Wooldridge jet tunnel that continues to prove its unique ability to run super shallow waters with incredible handling. 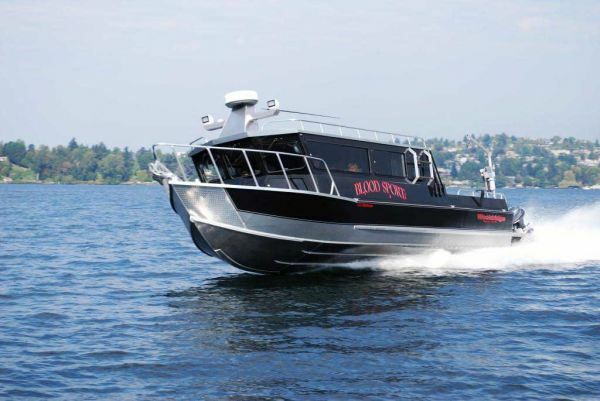 The offshore series includes a premier SS Pilothouse model with all the comforts of home. Wooldridge design highlights are many. 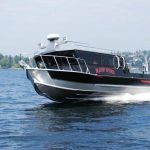 The Wooldridge outboard jet tunnel, large two-piece walk-thru windshield and intense internal hull structure that increases strength while reducing weight, are just a few. 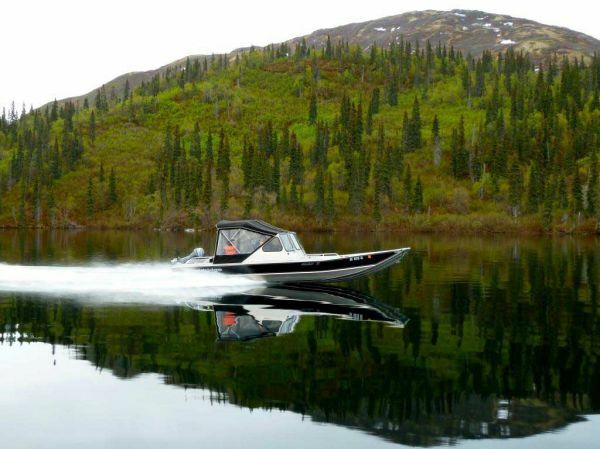 Glen engineered the exclusive jet tunnel for the ultimate in shallow-water performance. The tunnel acts as a skeg, enhancing traction in corners and the ability to maneuver through obstacle laden shallows. The tunnel also helps flow clean water to the jet, directing “clean” water to the pump for maximum driving force. The Wooldridge tunnel also moves the jet foot up and out of harm’s way for less exposure to shallow water rocks. The large two-piece walk-thru windshield offers better visibility while sitting and standing, plus, provides a large opening for easy access for coolers, equipment and folks, large and small. Wooldridge’s extensive internal structure provides superior strength and complete support without unnecessary weight. That means modest horsepower can deliver top performance with minimal fuel consumption. Check out the entire lineup on our website for more information or to inquire about pricing.